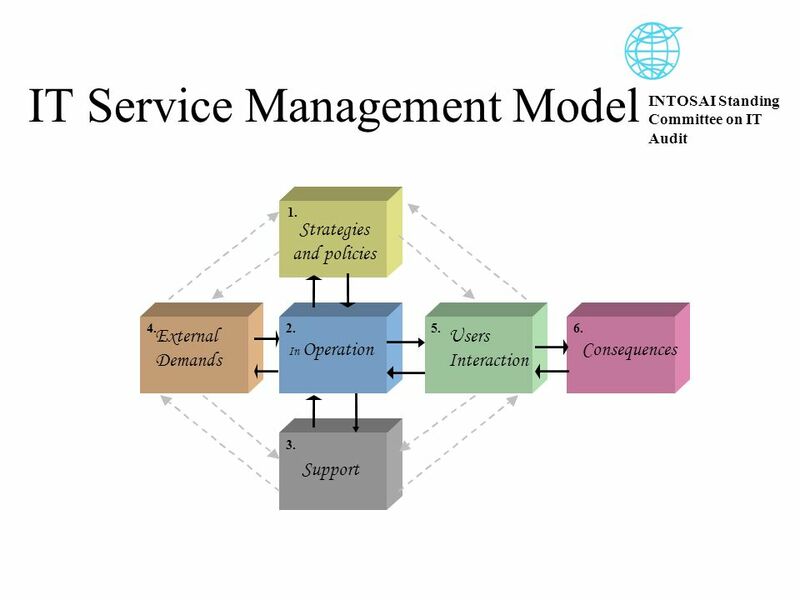 INTOSAI Standing Committee on IT Audit Auditing IT Service Management Presentation Slovenia 2001 Presented by Kjetil Kvernflaten Audit Adviser OAG of Norway. 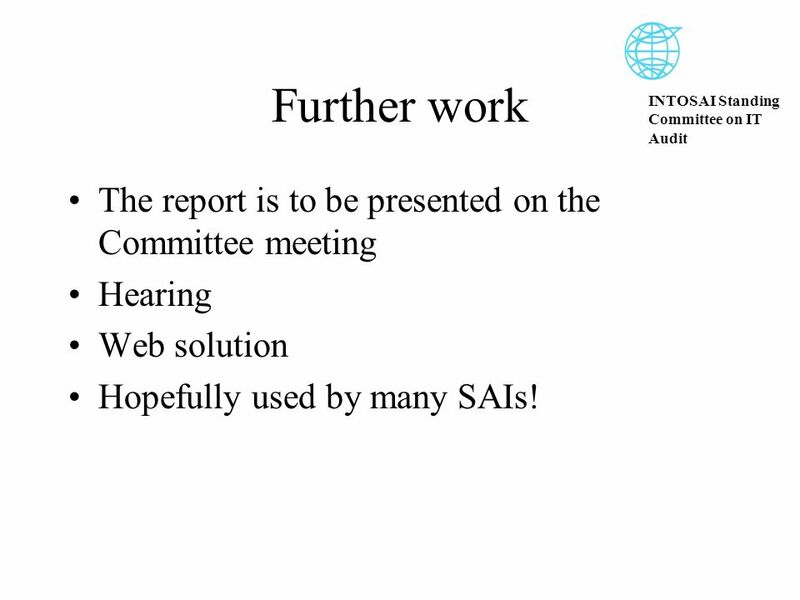 7 INTOSAI Standing Committee on IT Audit Further work The report is to be presented on the Committee meeting Hearing Web solution Hopefully used by many SAIs! 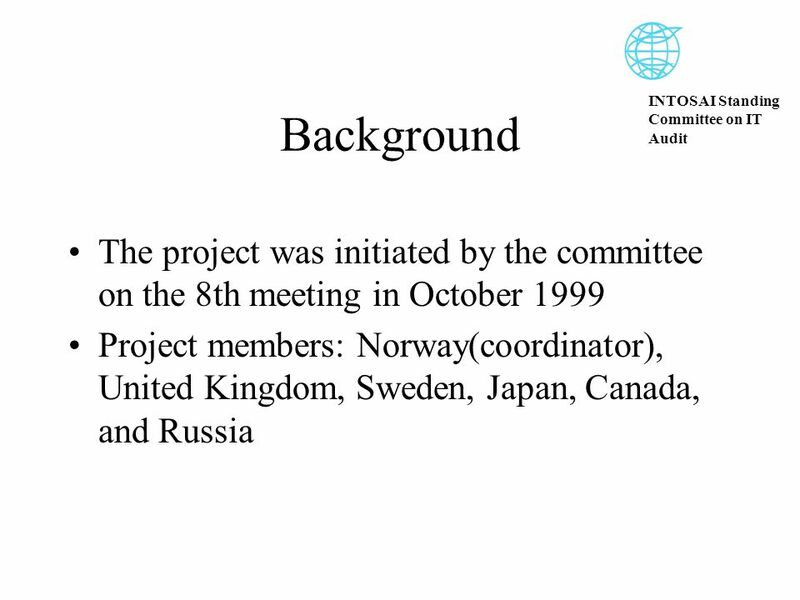 Download ppt "INTOSAI Standing Committee on IT Audit Auditing IT Service Management Presentation Slovenia 2001 Presented by Kjetil Kvernflaten Audit Adviser OAG of Norway." Tokyo, May 2008ERP / SAP in Public Administration, 17th Meeting of the IINTOSAI Standing Committee on IT Audit 1 SAP/ERP in Public Administration 17th. Office of the Auditor General of Canada Final Report of the Task Force on IT Governance Richard Brisebois Beijing, China. Office of the Auditor General of Canada Progress Report for the Task Force on IT Governance 17th Meeting of the INTOSAI Working Group On IT Audit Richard. Current issues and trends in bibliographic control Overview of the Division’s interests and activities Bibliography Section Bohdana Stoklasova, Chair Talbott. Ms. Daniela Stoycheva Chair of the JISC COP/MOP 2, Nairobi 14 November 2006 JI Track 2 procedure and its role in JI Track 2 projects UNFCCC Side Event. OECD Expert Group for International Collaboration on Microdata Access Mariarosa Lunati, OECD Statistics Directorate Luxembourg, 28 March 2012. Midterm Presentation. iSecurity Project Team Presentation Contents Background Goal Project work breakdown The work so far Future targets User Perspective. Introduction to ITIL Andy Park. What is happening within ICT? ICT is getting more complex Companies are dependant on ICT The requirements are more demanding. 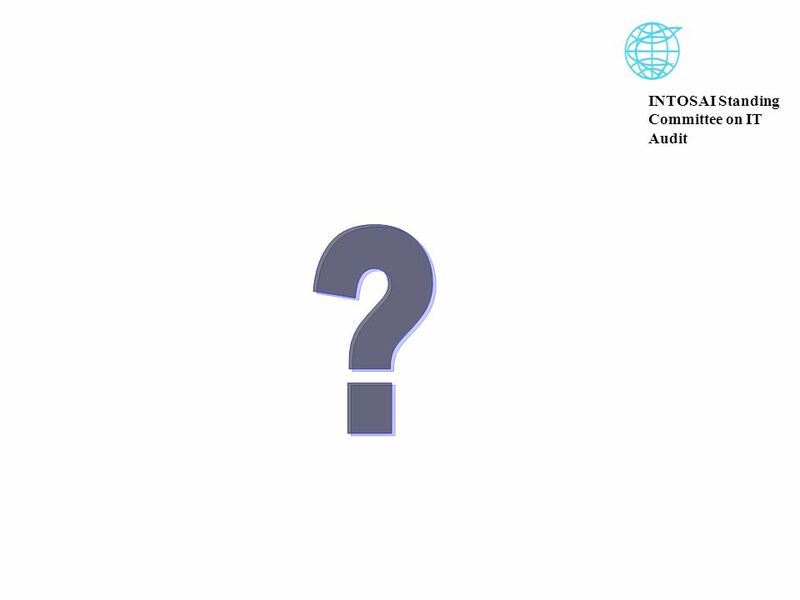 The 22 nd meeting of the INTOSAI Working Group on IT Audit (WGITA) KPI Project Final Report — Key Performance Indicators Methodology for Auditing IT Programs. Haiti Earthquake 2010 SUPPORT FROM FOREIGN GOVERNMENT. The northern lights By: Kailyn What the northern lights look like They can be purple, pink, blue, yellow, green, red, and orange. They appear in different. PSC INTOSAI Professional Standards Committee Harmonisation of ISSAIs – Revision of the Fundamental Auditing Principles. Development and Convergence of Auditing Standards and Methodology EUROSAI Seminar on Financial Audit Standards October 2008 Deputy Director General Kelly. Audit & Investigation Audit Committee Training 12 October 2006. Performance Audit Subcommittee - PAS PSC meeting Mexico City, November 4, 2007.